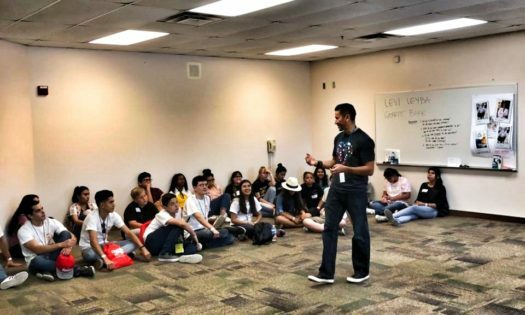 Research shows that learning a second language boosts problem-solving, critical-thinking, and listening skills, in addition to improving memory, concentration, and the ability to multitask. 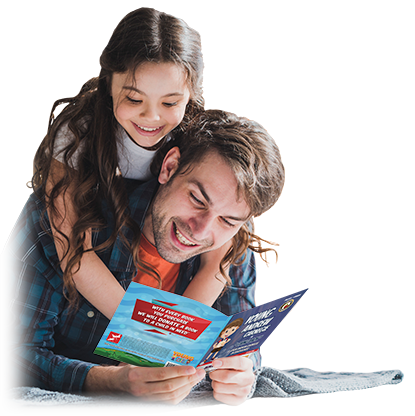 Children often say the most special time they recall spending with a parent or guardian is the time spent reading together, especially when there is energy and excitement. 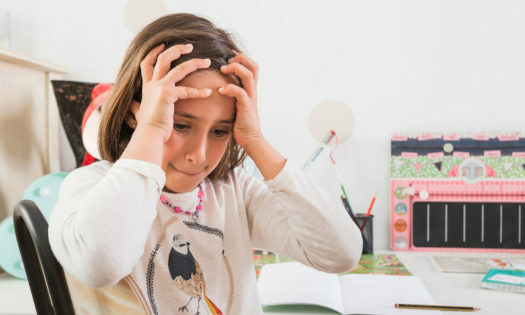 Children who read frequently develop not only stronger reading skills, but a higher self-esteem contributing more in class and are more likely to lead healthier lifestyles. 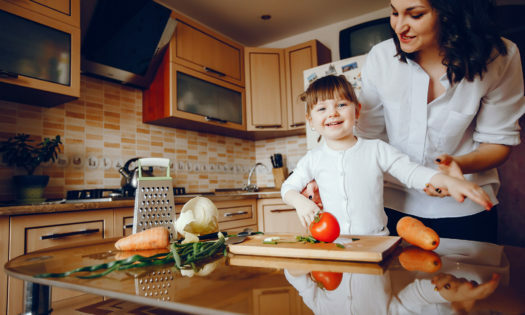 Learning a language has a direct impact on a child’s academic achievement with improved reading, writing, and math skills, and generally score higher on standardized tests. Here's some of our latest bilingual children's books. 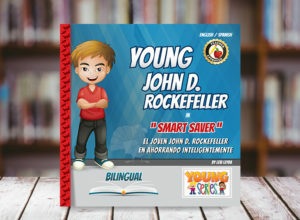 Each month we work on releasing new titles for the Young Series™ bilingual children's books - check back or follow us on social media!! 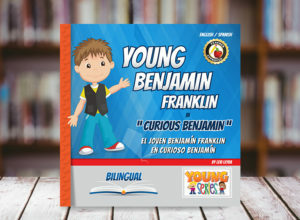 Every Young Series™ is a work of fiction based on the early years of famous historical figures of the past. 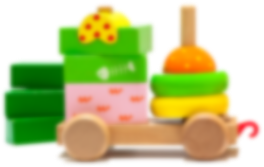 The stories introduce each character, announce a problem or situation that each character must overcome, and close with a resolution to the earlier mentioned obstacle. 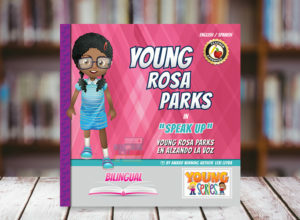 View our Bilingual Children's Books! 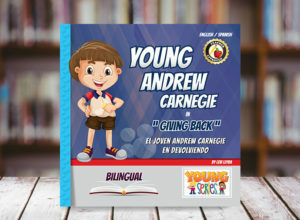 For every bilingual children book purchased, we will donate a book to a child in need. 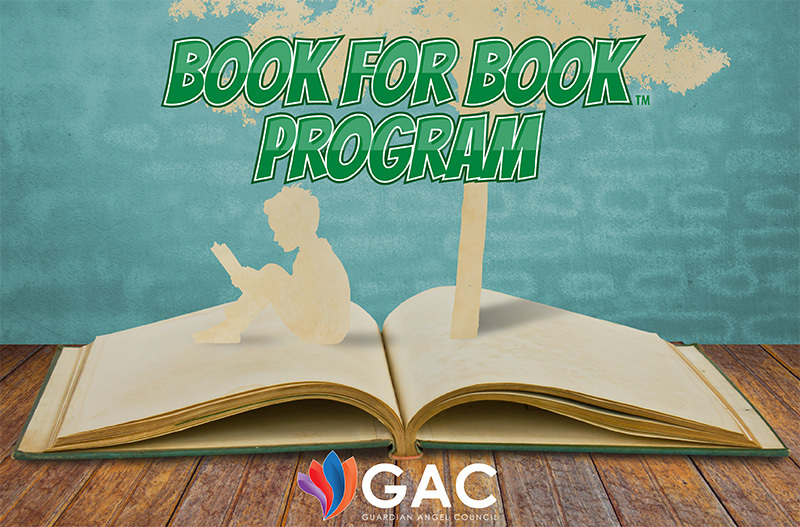 Guardian Angel Council’s Book for Book® program helps to decrease the gap of early childhood literacy rates between low-income communities and middle-upper income communities across the nation. 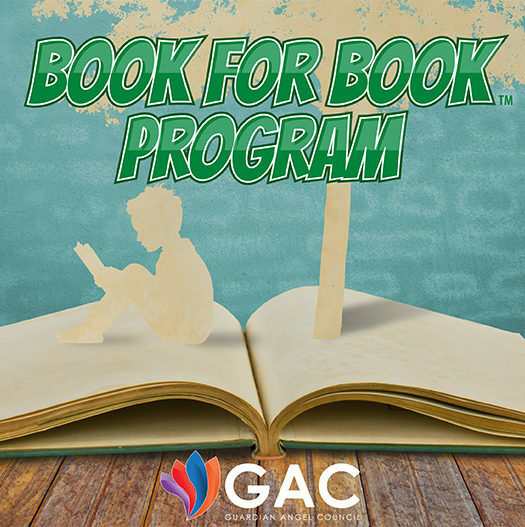 There is only 1 book for every 300 children in low-income neighborhoods versus 13 books per child in middle-income neighborhoods. Illiteracy is passed along by parents who cannot read or write. 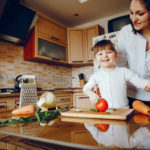 The average child in a low-income family has only been exposed to 25 hours of one-on-one reading versus children from middle-income homes being exposed to 1,000 to 1,700 hours of one-on-one reading. Src: McQuillan, J. (1998). The Literacy Crisis: False Claims, Real Solutions. Heinemann. 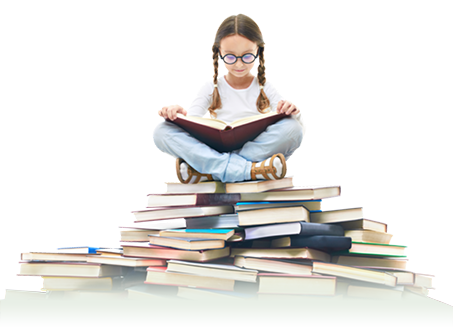 Fewer than half (48%) of young children in the U.S. are read to daily. 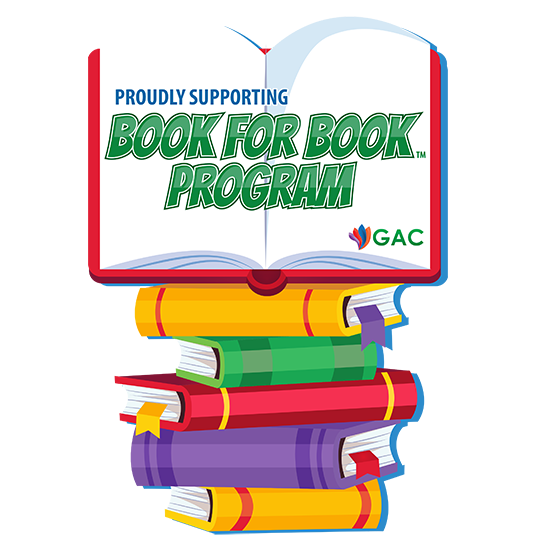 The percentage of children read to daily drops even lower (to 36%) among low-income families, whose children face the highest risk of literacy problems. The average child growing up in a middle class family has been exposed to 1,000 to 1,700 hours of one-on-one picture book reading. The average child growing up in a low-income family has only been exposed to 25 hours of one-on-one reading. 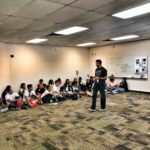 What Does Literacy Have To Do With Me? 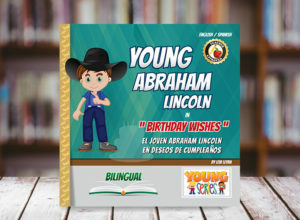 Young Series are bilingual children’s books written as a work of fiction based on the early years of famous historical figures of the past. 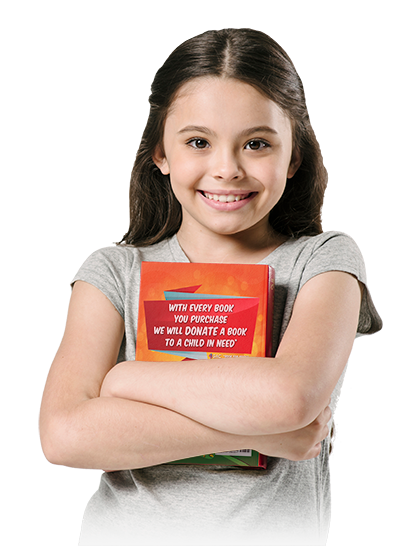 With every book purchase, one will be donated to a child in need. 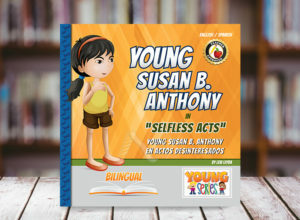 Young Series proudly participates in Guardian Angel Council’s Book for Book program.